Two tools in your discipline toolbox are natural consequences, and logical consequences. If the child pulls the cat’s tail, the cat is likely to scratch the child’s hand. If the child plays with a toy too roughly, the toy may break. If they leave their cookie unattended on the picnic table while they play, the crows may steal it. If the child doesn’t eat at a meal, they will be hungry later. If they don’t bring their comic book inside, it may get ruined by rain. We, as adults, might be able to foresee all of these natural consequences. But a child may not realize that these things could happen. So, it’s only fair that the parent advises the child of the possible problem: “If you [do this], then [that] will/might happen.” Sometimes, the parent might give a command to the child to stop the behavior and prevent the consequence. Or, sometimes the parent might inform the child of the possible result, then let the child make their own decision about what to do, and perhaps live with the consequences of their actions. 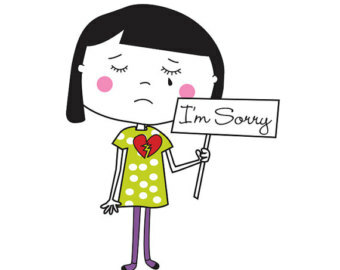 Many parents think it’s important to do this at times – if we always protect and rescue our kids from all possible mistakes, they may not learn important lessons about the impact of their choices. Natural consequences are best used when the results of the mistake will be a little painful so a lesson is learned, but not too painful. For example, if the child might break a $5 toy, you might not intervene, but if they’re about to break your laptop, you should stop them! If they might get a bump or a bruise, you might let that play through, but if they’re risking a broken bone, you will stop them. Natural consequences are not administered by the parent. They’re the responsibility of the child – they took the action that caused the consequence. Logical consequences are imposed by the parent for misbehavior. When entering a new situation, it’s the parent’s job to make sure the child knows what to expect, and what’s expected of them. We teach them how to be good. If they start a mild misbehavior, we might start correcting that by telling them what TO DO instead. But, if the misbehavior is getting worse, a consequence may be appropriate. Requiring the child to do something to repair a situation. For a toddler, it has to be immediate and short term – if they start throwing blocks, you immediately pick them up and take them away from the blocks. Then you help them find a new activity to do. A few minutes later, they might wander back to the blocks and play with them appropriately. If a child failed to put away toys one time, you wouldn’t throw away all the toys. But the toys could “take a break” for a day or two. Kids need to know they can trust their parents to keep their promises. That includes being consistent when applying consequences. Don’t go easy on the consequences and back down… if you do this once, they’ll try to beg you down on the next several times. you carry it out calmly, not with anger and shaming – consequences are not about punishing your child or making them “really regret” their choices – they’re about learning that their choices have impact and helping them learn the importance of better choices in the future. as I said above*, generally you want to warn before imposing a consequence, so they have a chance to make a better choice. However, if they are hurting someone or something, there’s not a warning – it’s an immediate consequence. “You bit your friend. We are leaving the park now.” At a family meeting, when all is calmed down, you can discuss your rules with your child and establish in advance what behavior you consider unacceptable that will always warrant an immediate consequence. For lots more on discipline, read The Discipline Toolbox, and follow the links in that post to find lots more tips. Here is a printable handout on Consequences and Time Out. Find more handouts on my Resources for Parent Educators page. This entry was posted in Discipline, Parenting Skills and tagged consequences, discipline, parenting on December 11, 2017 by Janelle Durham. 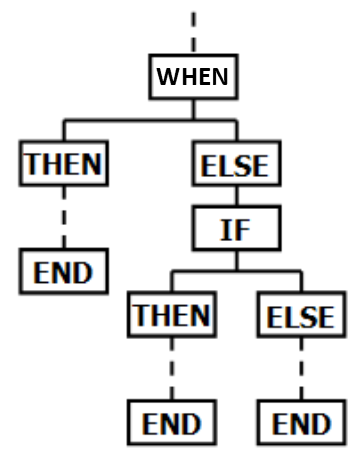 Two useful discipline tools for parents are the “when / then” and the “if / then” statements. The statement clearly explains to your child what you want them to do. (It also implies that you are totally expecting your child to do this positive thing, now that you’ve explained to them what’s expected.) And in return for doing it, they can expect to continue to have your loving, positive attention. These statements assume they are likely to do something wrong, and tells them that if they do, they will experience a negative consequence. You don’t want to start here: First, assume the best of your child! Giving a “when / then” first gives them the best chance at making a positive choice and being rewarded for that. If the when / then didn’t work, that’s when we turn to if / then. Think about your tone when presenting these statements. These don’t need to come off as angry threats that sound like “If you don’t cut that out, you’re going to be in big trouble with me! !” They can just be matter of fact statements about the natural or logical consequences of their actions. You may even let your tone show that you’re a little disappointed that you won’t be able to do what you had hoped – that encourages them to try harder to win back that positive social reward from you. Test these two tools out over the next few days, and see how it goes. Does your child respond better to one than the other? Which do you feel better about using? 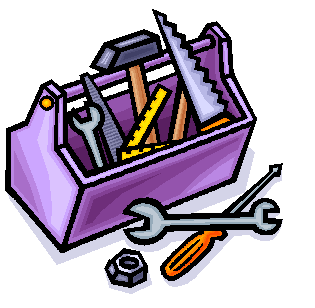 Learn about lots of other tools for your Discipline Toolbox, including: the Attention Principle, Substitution and Re-direction, and Natural Consequences. This entry was posted in Discipline and tagged consequences, discipline, parenting, rewards on December 8, 2017 by Janelle Durham.